This digital piano accordion by Roland has 26 keys on the right hand and 72 buttons on the left hand, all velocity-sensitive. Its bellows are equipped with a high-resolution pressure sensor. 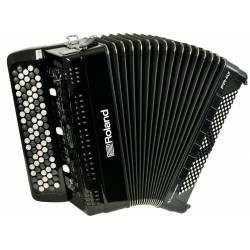 This digital button accordion by Roland has 62 buttons on the right hand and 72 buttons on the left hand, all velocity-sensitive. Its bellows are equipped with a high-resolution pressure sensor. Suitable for students and stage performers alike. 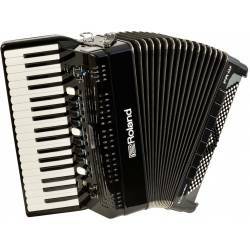 This digital piano accordion by Roland has 37 keys on the right hand and 120 buttons on the left hand, all velocity-sensitive. Its bellows are equipped with a high-resolution pressure sensor. 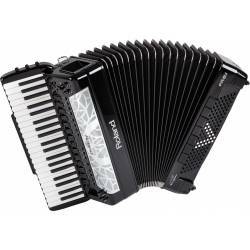 A modern accordion that is suitable for any style and level of play. This digital button accordion by Roland has 92 buttons on the right hand and 120 buttons on the left hand, all velocity-sensitive. Its bellows are equipped with a high-resolution pressure sensor. 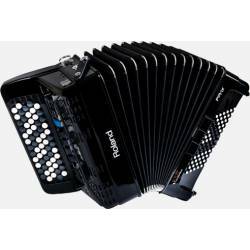 A modern accordion that is suitable for any style and level of play. 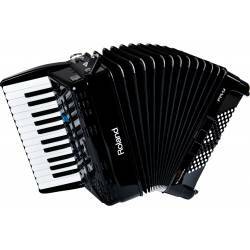 This digital piano accordion by Roland has 41 keys on the right hand and 120 buttons on the left hand, all velocity-sensitive. Its bellows are equipped with a high-resolution pressure sensor. 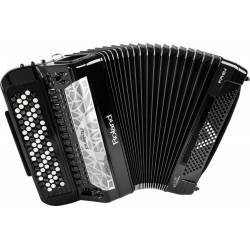 A modern accordion that is suitable for any style and level of play. This digital button accordion by Roland has 92 buttons on the right hand and 120 buttons on the left hand, all velocity-sensitive. Its bellows are equipped with a high-resolution pressure sensor. A top-level modern accordion, suitable for any style and level of play.